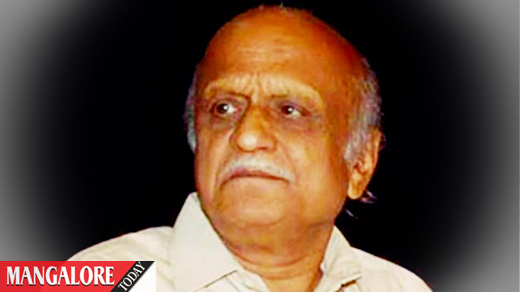 Mangaluru: September 1, 2015: The shocking murder of 77-year-old Kannada writer, scholar and rationalist Dr MM Kalburgi on Sunday morning sent ripples through the Indian literary community, particularly since this is the third instance in two years where a rationalist author has been killed, ostensibly for his views. As a result of the death threats, he reportedly conducted his lectures at Karnatak University under police protection. And even as a group of 43 Kannada writers and academics formed a committee in support of the book, as pointed out by the People’s Union for Civil Liberties, he scrapped — albeit defiantly; dubbing it ‘intellectual suicide’ — controversial sections from his book. Really very sorry for Mr.Kalburgi. I respect him for his great achievement towards Kannada. He being an elderly person have to be respected but the when we lose control on our language we are no where.